Watch the Great Wildebeest Migration on this 8-day Kenya wildlife tour! Stay in luxury camps & go on extensive game drives in Lake Nakuru National Park & Masai Mara National Reserve. The annual migration of millions of wildebeests, zebras and Thompson’s gazelles across the plains of the Serengeti Ecosystem is one of the largest mass-movement of land mammals known to man. These herbivores cross the crocodile infested waters of the Grumeti & Mara Rivers in search of food and water and are closely followed by various predators. 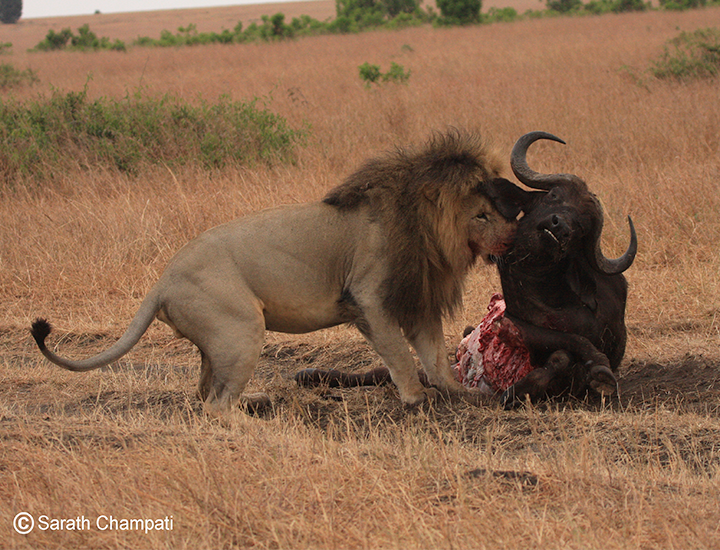 Witness nature in all its drama on this tour to Kenya. Sarath Champati, our Tour Leader is an expert on African wildlife and has led several tours and expeditions for almost two decades. Met on arrival at the Jomo Kenyatta International Airport and transfer to your hotel. Check in, rest of the evening at leisure. Lunch and dinner today is on own arrangements. After breakfast drive to Lake Nakuru National Park. 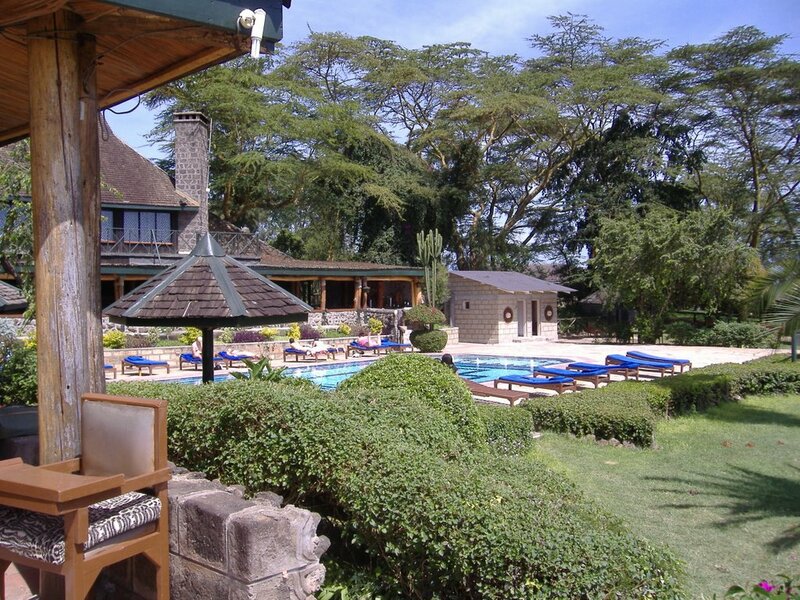 Arrive in time for lunch and check in to the Lake Nakuru Lodge. After a short siesta go on an afternoon game drive into the Park with your Tour Leader. Lake Nakuru lies in the cleft of the Great Rift Valley, surrounded by extinct and dormant volcanoes. Owing to its unique geological layout, the Park offers sanctuary to some of the world's most endangered creatures. Your Tour Leader will give you an insight into the uniqueness of the Park and its wildlife. Head back to the lodge for dinner. You will have your first chance to see the Great Migration today as you explore the vast plains of the Masai Mara. Travel from Lake Nakuru to Masai Mara National Reserve and check in to Mara Fig Tree Camp. Go on an afternoon game drive into Masai Mara to witness the Great Migration in progress. Each year, between the months of July and September, more than a million wildebeests, zebras, and gazelles migrate from Serengeti to the grasslands of Masai Mara. 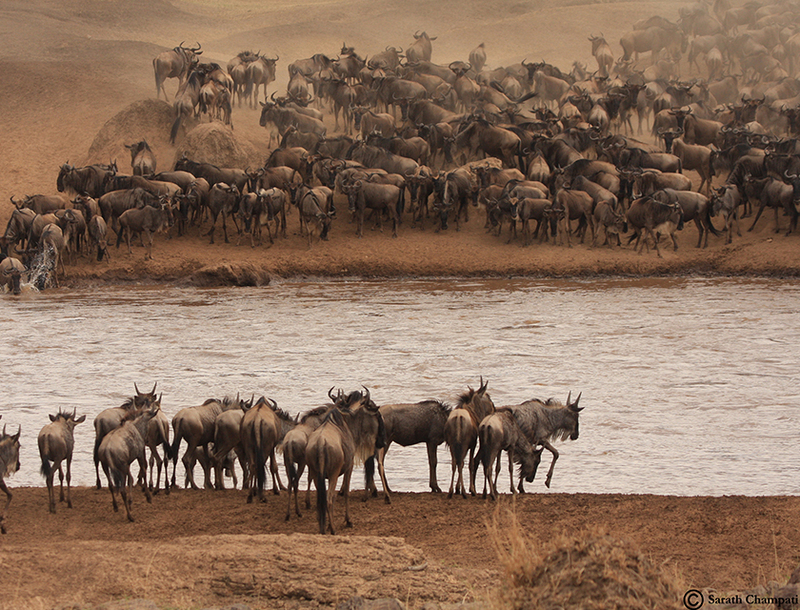 Moving in groups of up to 20,000 at a time, they are best viewed when attempting to cross the Mara River. Spend the next two days driving through the reserve and sighting the various wildlife species found here. Apart from herds of wildebeests and zebras, you are likely to spot leopards, cheetahs, spotted hyenas, elephants, Masai giraffes, Grant's and Thomson's gazelles, Kirk's dik–diks, olive baboons, vervet, blue and red-tailed monkeys. The reserve is also home to reptiles like Nile crocodiles and Egyptian monitor lizards. Birdwatchers should look for some of the 470 species of birds found here, including the ground hornbill and black backed vulture. Over the next two days, see the Great Migration as it plays out across different areas of the Reserve, from the luxurious Ashnil Mara Camp. 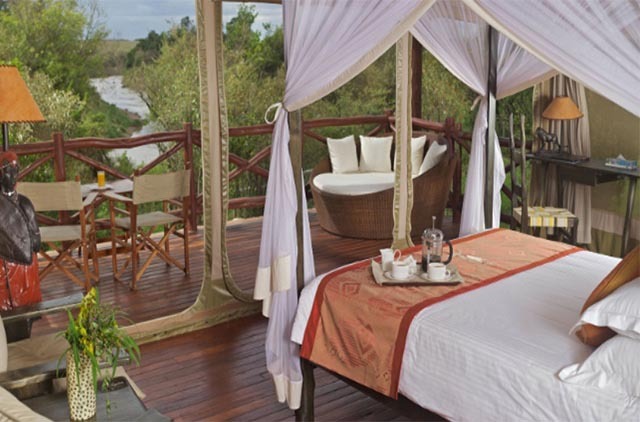 Ashnil camp offering stunning views across the Mara River. Enjoy a traditional African safari experience here in the comfort of your spacious tent that features a large bed, private verandah, and en-suite facilities. The Mara is divided into four topographical units:The Ngama Hills,The Siria Escarpment,The Mara Triangle,and The Central Plains.You’ll explore some new areas amongst these regions,during these two days. If there are any specific wildlife species you’d like to spot,or any particular photographs you’d like to take, please inform Sarath.He will try his best to accommodate your requests. Since this is a small group tour, you’ll have the advantage of receiving personalized attention and care. After breakfast drive back to Nairobi, Kenya's colourful capital city.Arrivefor a farewell lunch at thefamous Carnivore Restaurant followed by onward transfer to Jomo Kenyatta Airport for your international flight.